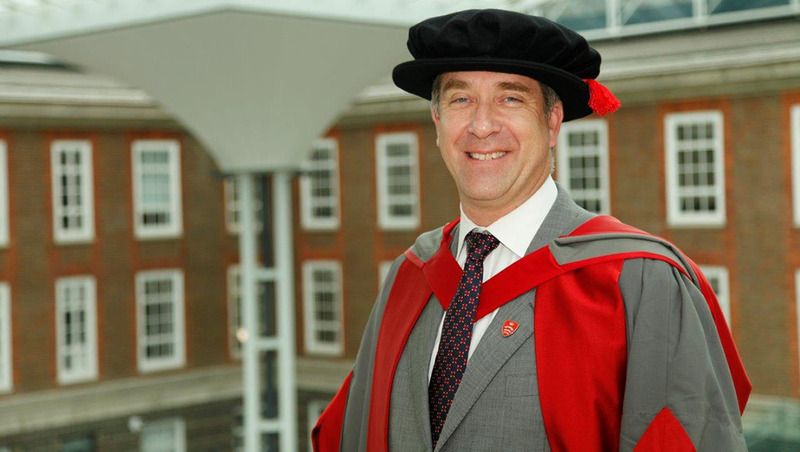 Chairman of the Learning and Performance Institute and veteran of the learning, skills and human capital industries, Don Taylor, who boasts experience at every level from delivery to chairman of the board has been awarded an Honorary Degree from Middlesex University. Don, from Chiswick, who was presented with the award at the University’s graduation ceremony today, sees the Honorary Doctorate as a tremendous honour but also an incentive — his ambition is to transform both the standards of and standings of the learning and development profession. “While I am delighted to receive this recognition for work I have done so far, I also regard this as something to work for transforming our profession which is likely to take many more years,” said Don. Chairman of the Learning and Performance Institute since 2010, his background ranges from training delivery to managing director and vice-president positions in software companies. Don took his own internet-based training business from concept to trade sale in 2001 and has been a company director during several other acquisitions. Based in London, he has spent, lived and travelled extensively outside the UK and now travels regularly to consult and to speak about workplace learning.